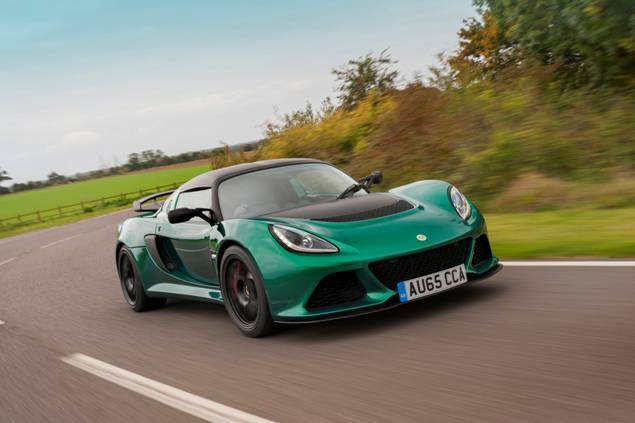 As the ultimate incarnation of the world famous Exige, Lotus has revealed the Sport 350, the latest version of the class-leading and award winning sports car, that’s lighter and faster than ever before. The new Exige Sport 350 is the next model in the range to mark the reintroduction of the renowned ‘Sport’ naming designation. It joins the recently announced Lotus Elise Sport and Elise Sport 220 – delivering a lighter and even more performance-focused driving experience. Concentrating on what Lotus does best, and with a focus on pure performance, the two-seater has been developed to deliver an unrivalled experience for the driver, being sharper and more direct than previous models. Drawing on the core elements that have made the Exige a firm favourite with driving enthusiasts, the Exige Sport 350 combines Lotus’ lightweight extruded aluminium chassis structure with muscular and aerodynamically efficient composite bodywork. A product of Lotus’ ‘Lightweight Laboratory’, the Exige Sport 350 weighs just 1125 kg and has shed 51 kg compared to the previous model Exige S. This reduction in mass is the result of a thorough re-evaluation designed to deliver a pure driving experience. The 3.5-litre supercharged V6 engine generates 345 hp and 295lbft of torque at 4500rpm, offering scintillating, progressive power to the road, while revised suspension tuning and wheel geometry contribute to un-matched vehicle dynamics and steering precision. 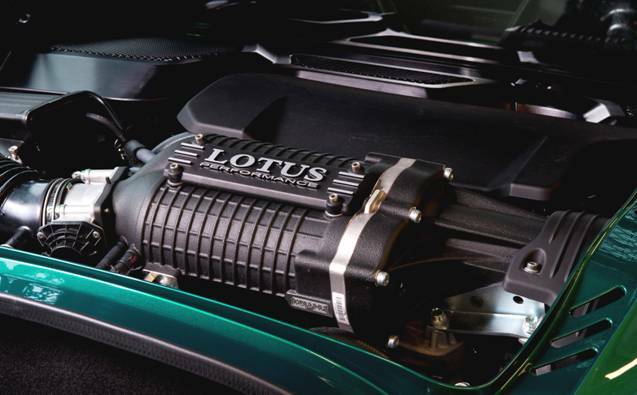 Coupled with the car’s lower mass, this power and torque enables the Lotus Exige Sport 350 to accelerate to 60 mph in just 3.7 seconds (0-100km/h in 3.9 seconds) before reaching a top speed of 170 mph (274 km/h). The Lotus Exige Sport 350 is also available with a 6-speed automatic option where drivers can change gears manually via forged aluminium paddles located behind the steering wheel, or rely on the gearbox’s fully automatic mode. The automatic gearbox control panel is integrated neatly into the centre console of the cockpit, with buttons for Park, Reverse, Neutral and Drive. Up-shifts take just 240 milliseconds, with rapid downshifts accompanied by automatic throttle-blip (when in Sport mode). Replacing the previous car’s glass tailgate, the newly designed lightweight, strong and stiff, rear louvered tailgate not only helps lower the Exige’s centre of gravity, but also aids engine bay cooling – a feature first introduced on the Lotus Esprit Turbo in 1980. The Exige Sport 350’s aerodynamic styling produces 42 kg of down force at 100 mph (160 km/h) with the rear wing and flat underside both contributing to its phenomenal aerodynamic performance and finely balanced handling. The Exige Sport 350’s suspension, with firmer dampers and revised geometry, delivers more responsive handling and, combined with a lowered centre of gravity and four piston brake calipers, help it lap Lotus’ test track 2.5 seconds faster than the previous Exige S model, in a time of 1 minute 29.8 seconds. 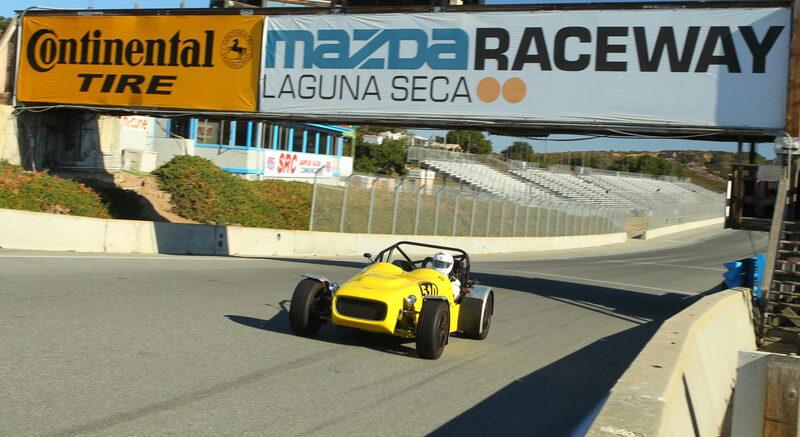 This makes it the first production Lotus ever to go sub 1 minute 30 seconds around the famed Hethel track. Lotus Dynamic Performance Management (DPM) provides three discrete modes – ‘Drive’, ‘Sport’ and ‘Race’ – with the latter offering increased levels of traction slip threshold, allowing wider drift angles before intervening. The system also opens the engine exhaust bypass valve at mid-to-high engine speeds. Both ‘Sport’ and ‘Race’ settings increase throttle responsiveness. New larger switches with improved haptics have been introduced for the DPM system (Sport and Race) with the headlights and rear fog lights mounted together with the vehicle’s new engine start button. 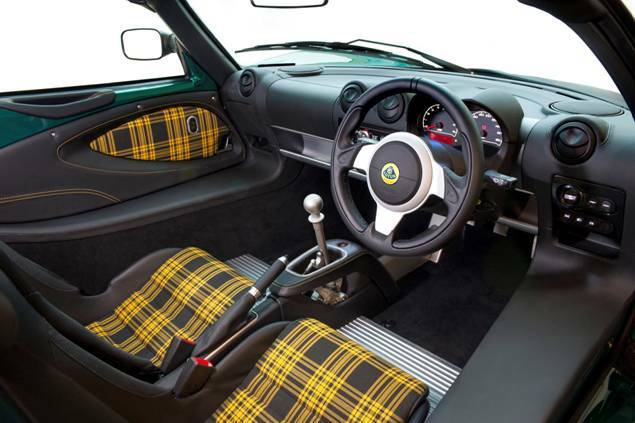 New trim packs introduce a heritage theme to the cabin with lightweight sports seats and door panels clad in red or yellow Tartan (leather or Alcantara interior trim options are also available). 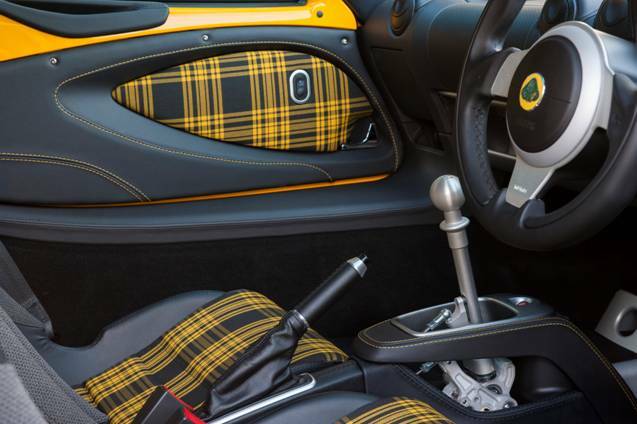 The Tartan theme was first introduced in 1976 in the Lotus Esprit S1 and was a bold statement originally in keeping with the fashion of the time and now fitting for the new Exige Sport 350. Optional extras for the Exige Sport 350 include lightweight forged alloy wheels (reducing kerb weight by a further 5 kg), cross drilled and vented two-piece brake discs (shaving yet another 5 kg off the weight), black or yellow painted four-piston callipers, air conditioning, an in-car entertainment system and full carpet and sound insulation pack. Interior packs cover Alcantara, leather and Tartan options, for both seat and door trims. 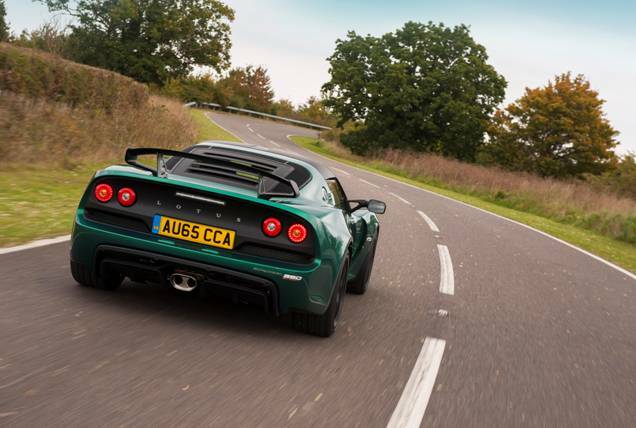 By selecting the lightweight options available the total weight of the Exige Sport 350 becomes a featherweight 1115 kg. As standard, the front splitter, rear wing, front access panel, roof panel, wing mirrors and rear transom are finished in matt black to complement the car’s aggressive stance; with the option for these components to be painted in body colour at no additional cost. The Lotus Exige Sport 350 goes on sale in Europe in February 2016 and will be available outside Europe, excluding North America from March 2016. 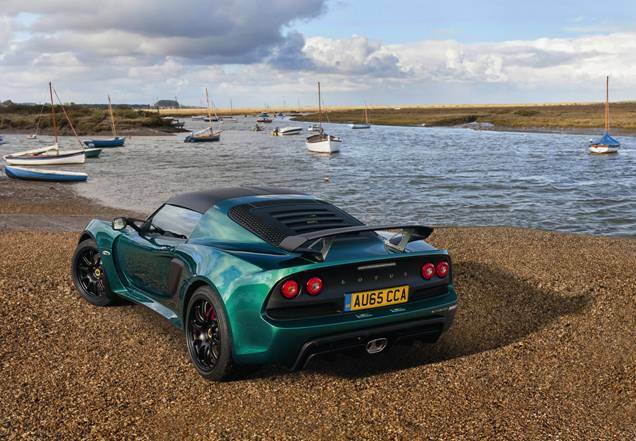 The Lotus Exige Sport 350 will also be available as a Roadster from March 2016. 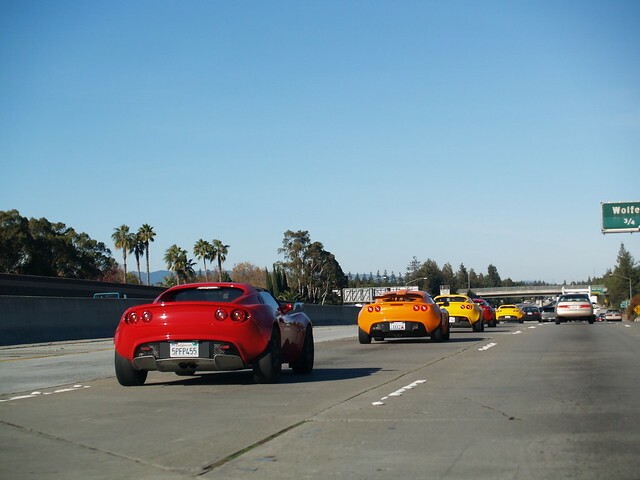 Those wishing to register their interest in the new Lotus Exige Sport 350 should visit: http://www.lotuscars.com/lotus-exige-range.